Christmas in July is an event where children bring donations in the form of household items their families have collected to the Ronald McDonald House, said CDCLS Director Lee Ann Townsend. The Ronald McDonald House provides a home away from home for families with sick or injured children, she said. Townsend said the organization tries to relieve those family’s burdens by providing food, laundry facilities and lodging for them. This is the fourth year the CDCLS has participated in the event, she said. Townsend said through the event children who help collect the donations learn they are important to the community. It shows them that they can be of help, no matter how young they are, she said. 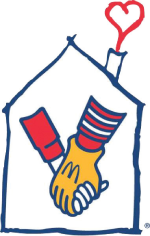 The Ronald McDonald house asks for donation items such as trash bags, board games, cleaning products and multiple food items. Maddisen, a 5-year-old preschooler who attends the CDCLS, explained how the process works. The CDCLS celebrated a kick-off drive June 24 when 46 children took donation bags they had decorated with hand-drawn pictures to the McDonald’s restaurant at the corner of 89th Street and Pennsylvania Avenue, and passed them out to families who agreed to fill them with donations over a few weeks’ time and take them to the Ronald McDonald House. Townsend said the event has drawn more participation in recent years, partially because the CDCLS moved the event to the summer months. She said, in the past, it was held around Christmas but said summer weather is far better for the event.